Take a leisurely drive, a gallery tour, a nature hike, tour by bike, a relaxing stroll or just sit awhile. Or if you prefer - sail the bays, windsurf the waves, kayak the coves, snorkel a shoal or enjoy a splash in the surf. Experience life our way. 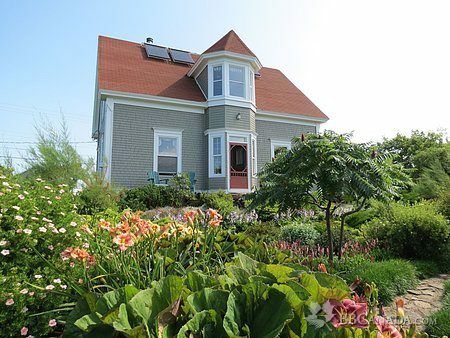 This Lunenburg style home (c 1868) located on the Lighthouse Route, is central to Peggy's Cove/Halifax, Lunenburg and the Annapolis Valley. 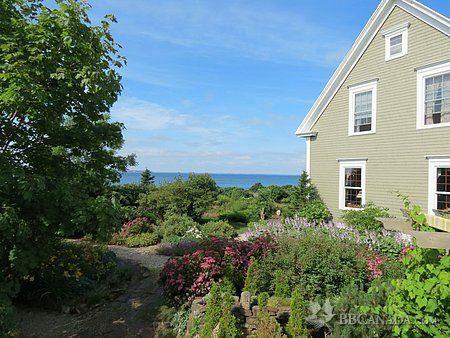 Century House offers three bedrooms all with ocean views, private bathrooms. 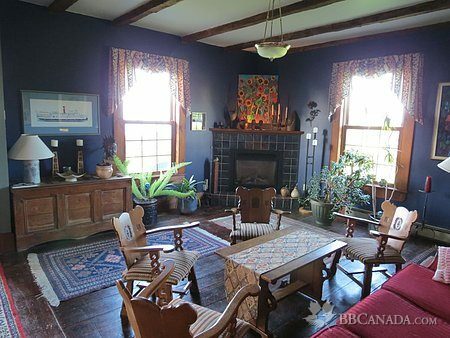 A queen size bed, cooked breakfast, no tax, C$135.00. 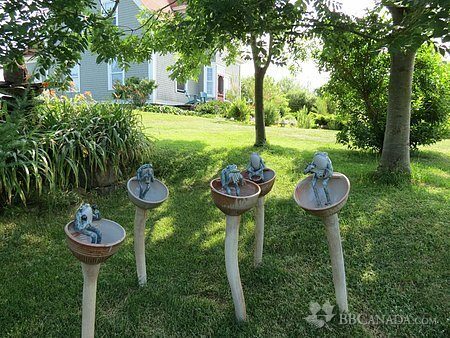 A professional potter for many years, Mieke offers functional ware for the home and whimsical garden sculptures. Selected one of Ulysses' Favourites, page 176, Ulysses Travel Guide, Atlantic Canada fifth edition. Check In/Check Out : If your room is ready, what ever time you arrive, we will be delighted to welcome you. If you plan to leave a little later and incoming guests are not inconvienced, no problem, in any event we will be happy to look after your bags. Cancellation : If there is a need to cancel call us and we can discuss the situation, in any event if the room is rented for the canceled dates there will be no penalty. Seasonal Information : May 15 through October. Low season rates May to June 19 and October.